I see it all the time as a mom blogger. Another blogger comes out with a new, amazing course telling you to just do XYZ and you will gain 10,000 followers or make $10,000 a month easily or change some way that you are blogging in order to gain traction. While the advice in and of itself may not be bad, sometimes we can get caught up in the hype and forget what is important. I’m a big proponent of not selling out as a mom blogger and staying authentic. It’s such a bummer to me when I see an incredible blogger start to take a different path because they took a course that told them they were doing it all wrong. Even though they weren’t. They just weren’t doing it like you’re “supposed to”. Have I taken courses? Absolutely. But not many. Like I can count them on one hand. I’ve been so picky in my blogging journey partially because so many courses are WAY overpriced for the content, but more so because I wanted help picking up speed in my own way, not changing everything completely in hopes to “make it big” so to speak. Again, there is nothing wrong with getting advice on blogging. But if you purchase a course that does nothing but put affiliate links into your face, tell you exactly how and what to write to gain followers and make money “without fail”, and tell you everything you are doing is wrong while their way is the only way, run, don’t walk, away! You’d be surprised how many of these courses are out there. Or maybe not, because you’ve encountered a few along the way. On the other side of that, if a blogger’s course flat out tells you this is exactly what they did and since it worked for them, they hope it will work or at least help you, you are in good hands. A blogger truly trying to help you in your blogging journey will always disclose that their course is just what helped them and in no way, shape or form will it work for everyone and to contact them if it’s not working and they will see what they can do to help. That’s the sort of course you want to take. I don’t mean to burst anyone’s bubble, but blogging being a “get rich quick side hustle” is really unfairly touted as a way for stay at home moms to live the dream. Spend a few hours blogging every week while you spend ample time with your kids and watch the money roll in. My caution to you: Do not listen to anyone that tells you blogging is simple, a quick-money side hustle or that a course will guarantee results. If you hear anything like that they either don’t know enough about blogging to be giving you advice or they just want your money. I had no idea what to expect when I started blogging. I decided to blog on a whim one day and bought my domain the next day after reading a few articles. I knew it would take a few hours a week, but didn’t realize how much time it would take to become successful. There are so many articles that sell you on the fact that you have a blog and only spend a couple hours a month on it. Yes, that is true for some rare bloggers, but what they don’t tell you is you need to sell your own products in order to do that. Normally when you go to start a blog, you’re looking to write, not to make and sell products. I know some bloggers who make up to 15K a month and still put in 25-30 hours a week. That is what to realistically expect. Everyone assumes you have a website and just write. Then people will miraculously come to it. Blogging is so much more than that. You need to write articles, write emails to your email list, create free “products” to entice people to subscribe to said email list, make beautiful pins, manage multiple social media accounts, socialize with other bloggers, and do A LOT of research (think ecourses, ebooks, finding affiliates, etc.) to make sure you’re doing it efficiently and even legally. And that’s just the start of it. True confession: I’m spending too much time building my blog. Tonight I sat on the sofa after dinner with my 7 yo and pinned, tweeted and reposted while he watched tv. Not great. It just takes so much work to earn every single follower in the beginning. I’m two months in. Right now, I’m spending 4-5 hours per day blogging, learning what to do and stumbling through pins, apps, posts, affiliates, tweets, insta (#followunfollow ugh), commenting, liking, photographing, editing, researching, studying analytics, and barely facebooking. I haven’t even recorded something I want to YouTube yet. Maybe 4-5 hours per day isn’t enough, but I have a full time job and two hour round trip commute. Geeze, I’m only human. Easier said than done, but don’t lose sight of your reason for blogging. If a blogging course has made you question yourself in a way that would make you completely change who you are, don’t. Not everyone is meant to be a blogger and make a full time income. Then we’d only have bloggers and that would be a boring, boring world. But if it’s your passion, put your heart and soul into it. Don’t just chase the money. You know those blogs. You click through from a Facebook group on what seems to be an interesting topic only to find link after link after ad on a post. This person is pushing you to buy something, anything. And what happens? You close out the tab and don’t click on any of their links. That is what happens to many bloggers when they start chasing the money. I have taken 2, yes just 2, blogging courses since I started a year and a half ago. Did I mention I’m picky? And cheap? As a single income family, there are just some… courses… that are thousands of $$$ promising immediate return and blog growth beyond your wildest dreams. One in particular, I really wanted to get sucked into. But you know what? That course has an affiliate program that gives you almost 50% commission! And therein lies the trick. You get so many people to take the course and become and affiliate so they return their investment by getting 2 sales. You just have to really talk up the course, whether or not it actually worked for you or not. If that’s your jam, go for it. But it’s a little icky to me. The 2 courses I took I have become an affiliate for. They were useful, made no outlandish promises and their affiliate programs aren’t going to make you rich overnight if you just promote them like crazy. They’re real people behind a real screen who will take questions and try to help you reach your blogging potential. Now, that, I can get on board with. What were the 2 courses? 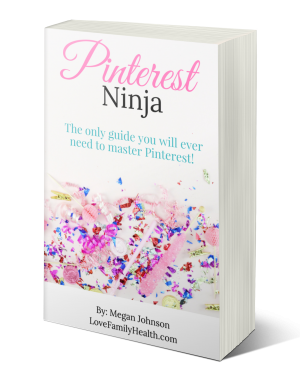 Blog by Number by Suzi from Start a Mom Blog and Pinterest Ninja from Megan of Love.Family.Health. Suzi lays out getting your blog going that is easy to follow and Megan guides you through making Pinterest work for you with free updates with all major Pinterest updates. Easy peasy, lemon squeezy (as my beloved 5 year old says)! These are 2 no frills courses that didn’t break the bank for me as a new blogger and that I still go back and reference all the time! These worked for me because they didn’t provide me with fluffy antics just to make me buy the course and then make them some affiliate income. That’s what I was looking for and knew would work for me. Always remember no matter what course you choose to take that these bloggers are sharing their strategies with you. They are their strategies. What they exactly do may not work for you. But a tweaked version of it could. Read reviews of the courses you want to take that aren’t just on their sales page. While yes, these bloggers reach out to people who take their courses, you want to get a full picture of what you are paying for. One course in particular I was looking at had amazing reviews from other bloggers on their sales page, but when I did a quick Google search of the course, found some not so positive reviews that made sense with what I was reading on the sales page and knew the course wouldn’t be for me. That’s not to say it wasn’t for someone else, but I knew endless videos with no support from the blogger selling the course was not what I was looking for. Fear not mom blogger! You can find courses that work for you, but sometimes it takes a ton of searching and researching. Don’t just buy the first course you come upon because more likely than not, you’ll be disappointed.